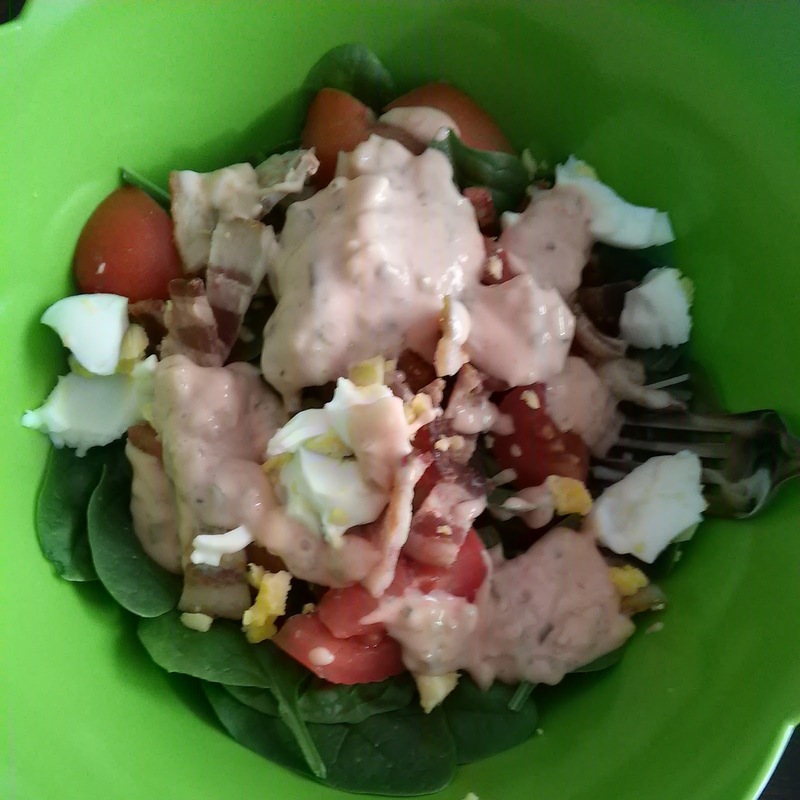 I love creamy dressings, but mayo packs a mean punch of calories. I'm constantly looking through the salad dressings when I pick up my weekly pound of spinach, for something new and low calorie that isn't a vinaigrette (too sour for me usually). This week, I noticed Wegmans now caries a greek yogurt thousand island, and I was like DOH! I can do that! Why didn't I ever think of it? And I bet I can yield more with less calories. If you like yours a little less relishy, adjust yogurt and ketchup accordingly.